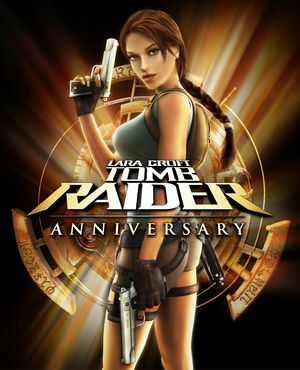 For the original game, see Tomb Raider. 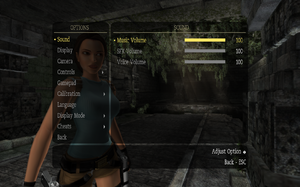 Port of the PlayStation 2 version. PC version does not include the graphical improvements from the Xbox 360 release. The copyright screen will still be shown. 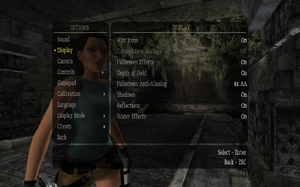 4:3, 16:9, 16:10 only; for others use Flawless Widescreen/Widescreen Fixer. 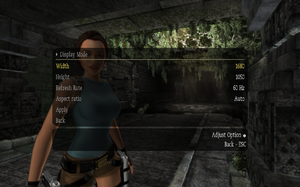 Use Flawless Widescreen (fixed HUD) or Widescreen Fixer (stretched HUD). 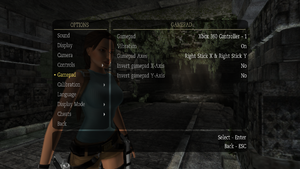 Cheat Engine Table can be used, but causes major glitches during gameplay. High fps may break physics events or NPC A.I. in some areas, preventing progress. Limiting FPS at these points with vsync fixes the issues. 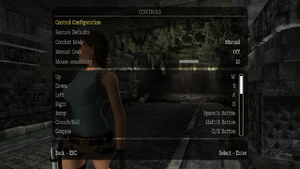 In-game MSAA (labeled as Fullscreen Anti-Aliasing) will disable shadows. Force MSAA via display drivers (make sure 'Behavior Flags' is set to 'None' via NVIDIA Profile Inspector if using an Nvidia card). 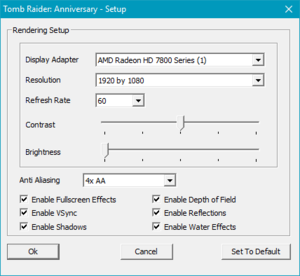 Use Nvidia's DSR or AMD's VSR to force a higher resolution and downsample it to the monitor. 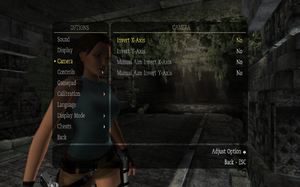 Menus will always still refer to keyboard keys, however by setting controller buttons as the first listed for each action, appropriate in-game Xbox prompts will appear. Go to Options and enable Vertical Synchronization. ↑ 1.0 1.1 File/folder structure within this directory reflects the path(s) listed for Windows and/or Steam game data (use Wine regedit to access Windows registry paths). Games with Steam Cloud support may store data in ~/.steam/steam/userdata/<user-id>/8000/ in addition to or instead of this directory. The app ID (8000) may differ in some cases. Treat backslashes as forward slashes. See the glossary page for details. This page was last edited on 16 February 2019, at 21:27.